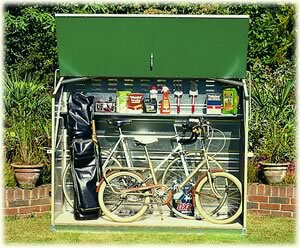 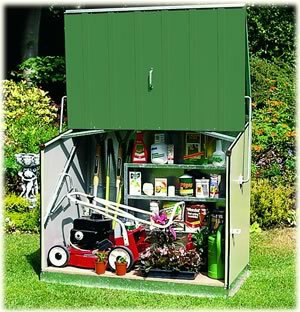 This comprehensive range of storage units has proved immensely popular with gardeners and mobile home owners alike. 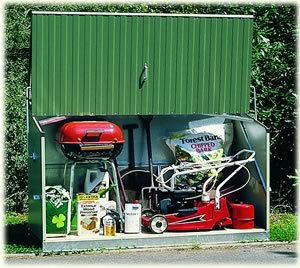 They offer an excellent alternative or addition to a conventional shed especially where space is limited and due to their low profile and attractive designs, can be situated almost anywhere. 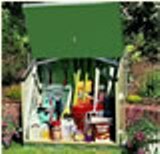 All stores are manufactured in the UK using a modern PVC coated galvanised steel which is maintenance free, fire resistant and guaranteed for 25 years ensuring lasting good looks and trouble free use. 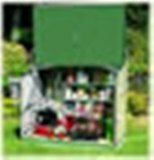 These storage units are supplied in a convenient flat pack and are extremely simple to construct as all major components are factory assembled for you; they come complete with all necessary fixings and easy to follow illustrated assembly instructions. 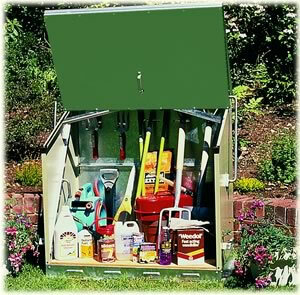 Unlike wooden or some plastic alternatives all these stores are fire resistant and will not warp, become weak and brittle, crack or discolour over time. 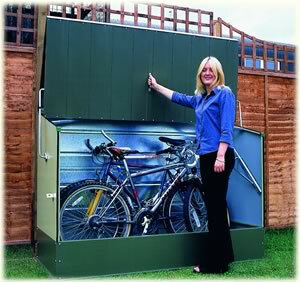 The opening mechanism is a unique design that offers easy operation and complete access.